Many people think George Soros is a hypocrite for saying he should pay more tax and then tried everything in his power to avoid doing just that. Congress and the IRS for once outsmarted one of the smartest money managers. However, whether intentional or not, Soros actually is going to do just that. How will he do it? He will pay more tax in the future, instead of paying less in the past. The really adventurous might even say that Congress and the IRS for once outsmarted one of the smartest money managers. Here is why: When Soros opened his Quantum fund in 1973, he deferred paying taxes on his personal gains as much as possible. Those are his share of the profits (usually 20 percent of total profits, plus 2 percent management fee on all assets under management). A loophole in the tax code allowed him to do this for all management and profit sharing fees paid to him by non-U.S. investors (the majority in his case) if he reinvested the money in his fund. Because Soros is a very astute money manager, returning 20 percent compounded every year, the reinvested money grew exponentially for over 40 years. If the loophole hadn’t existed, Soros would have had to give up more than half of his profits, which means that this half could not have grown exponentially. 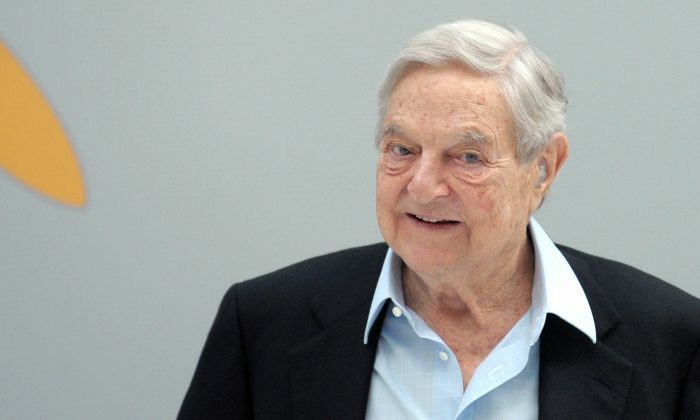 Bloomberg cited calculations by Vyacheslav Fos, an assistant professor of finance at the University of Illinois at Urbana-Champaign, that imply Soros made $15.9 billion just by reinvesting his fees and growing them exponentially. On the other hand, if taxes had been paid every year, he would have only made $2.4 billion. This would be horrible from the taxpayers point of view if Soros could do this indefinitely. However, here is where Congress and the IRS did something smart, whether they knew it or not. They let Soros and many other hedge fund managers keep the money and invest it—for THEM. But in 2008, Congress actually closed the loophole and ordered everybody to pay up by 2017. By now Soros’s tax bill alone is $6.7 billion according to Fos, and there are a lot of other managers who have been employing this strategy. Had the taxes been paid every year, the taxes collected would have been much less than $1 billion and we can safely assume the Department of the Treasury could not have matched Soros’s 20 percent return. As a result, Soros made more money for himself, but also more money for the IRS! So after collecting the taxes in 2017, the IRS should just open the loophole again and close it some 40 years later. Let’s see if the managers go and take the bait.